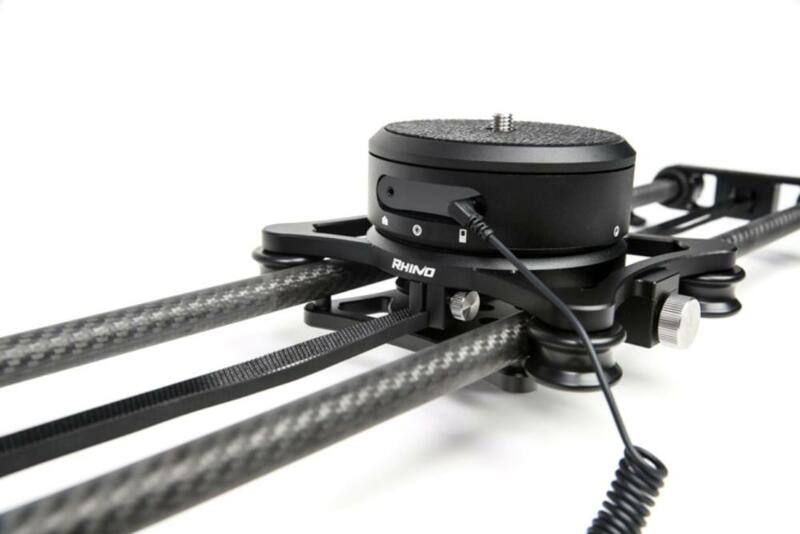 The Rhino EVO Carbon Slider Bundle 24" is a carbon fiber rails and motorized pan head kit that includes shutter release cables for Canon, Nikon, Panasonic, and Sony shooters. 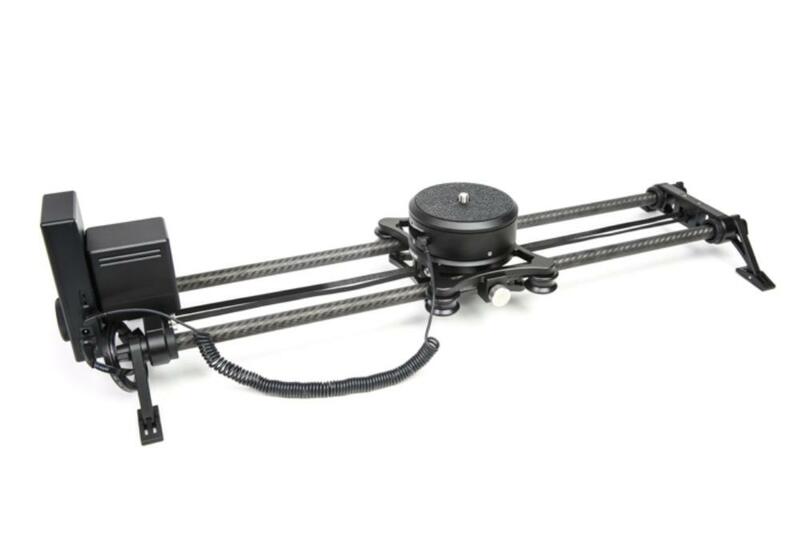 The Rhino Arc, which is installed directly on the slider carriage, connects to the Rhino motion controller with an included cable and allows you to control both linear and pan motion using a single controller, which also has a built-in intervalometer to trigger your camera's shutter for easy time-lapse operation. The internal motor of the Arc is powered by a built-in rechargeable battery that lasts approximately 7 hours and can be set up for autonomous motion on a single-person crew. The motor is also quiet enough to be used during interviews. With the motion controller, you can quickly program a move with in and out points, time of travel, ramping, and looping. This bundle is ideal for time-lapse shooters, interviews, narrative films, and documentary crews. For a longer, heavier load capacity version of this system, please see the Rhino EVO Pro Slider Bundle 42". Please visit Rhino's YouTube channel for a complete list of walkthrough videos. Please also see our Notes tab for links to the slider, Arc, and motion controller manuals. • This slider does not support vertical movement. 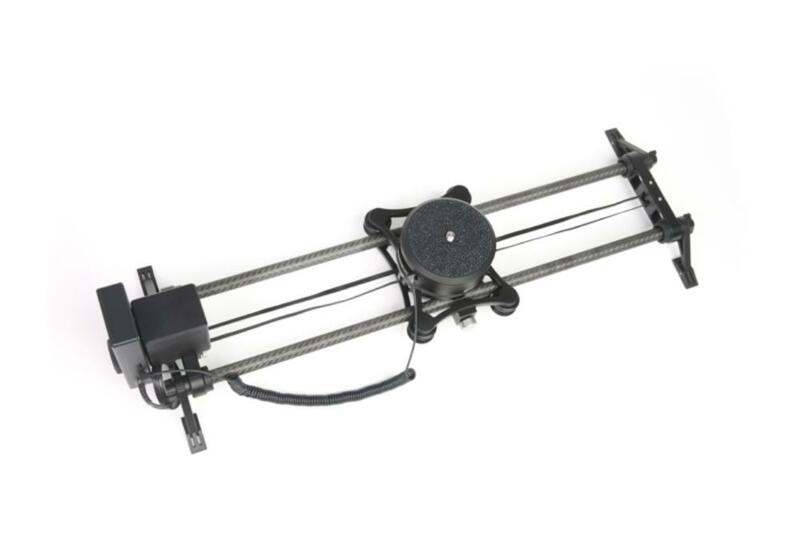 The slider's load capacity is 25 lbs horizontally and 5 lbs at 20º. • This slider comes with spring-loaded, folding all-terrain feet and a 3/8"-16 mount in the center with 1/4"-20 at the ends. A tripod or stand must be rented separately unless you want to use the slider on the ground or propped up by other means. 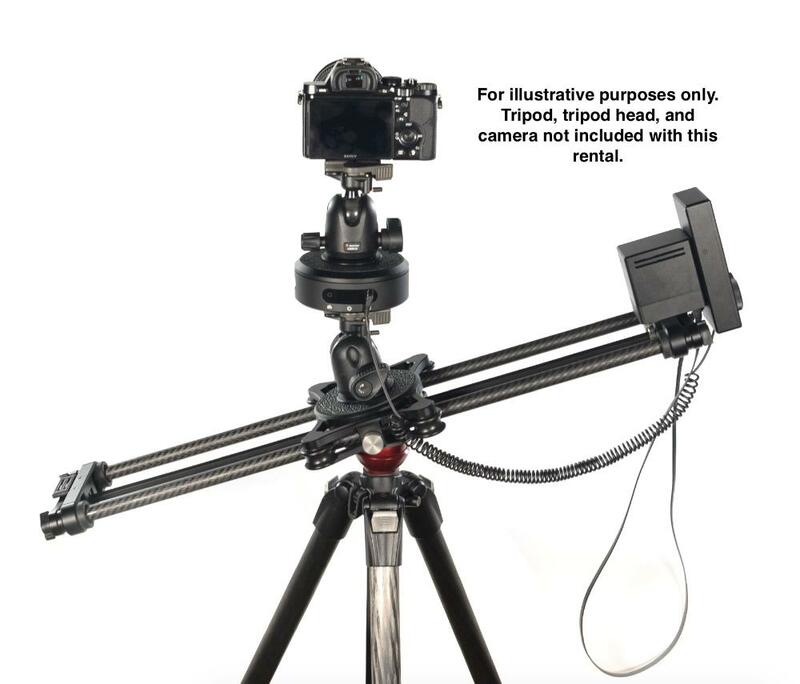 • A tripod head for connecting your camera to the carriage is not included. 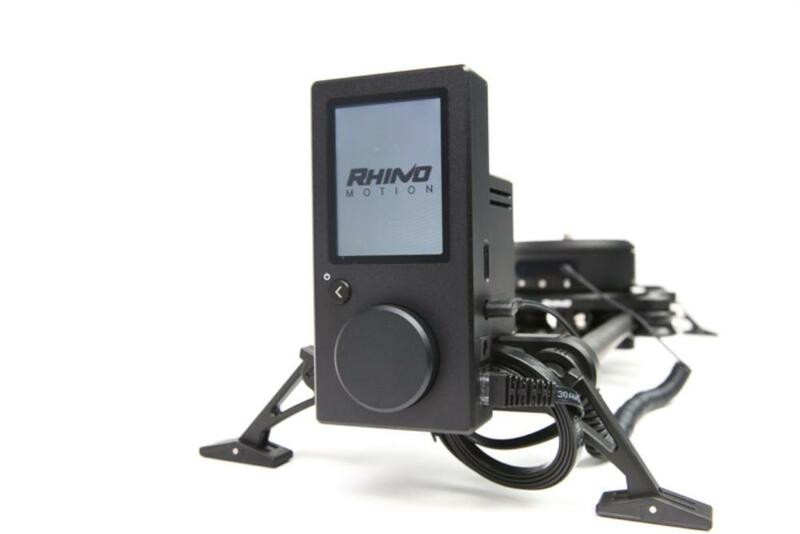 • The Rhino Arc must be used with the included motion controller to function. It is not intended for stand-alone use.